Are Vegans A Discriminated Minority? 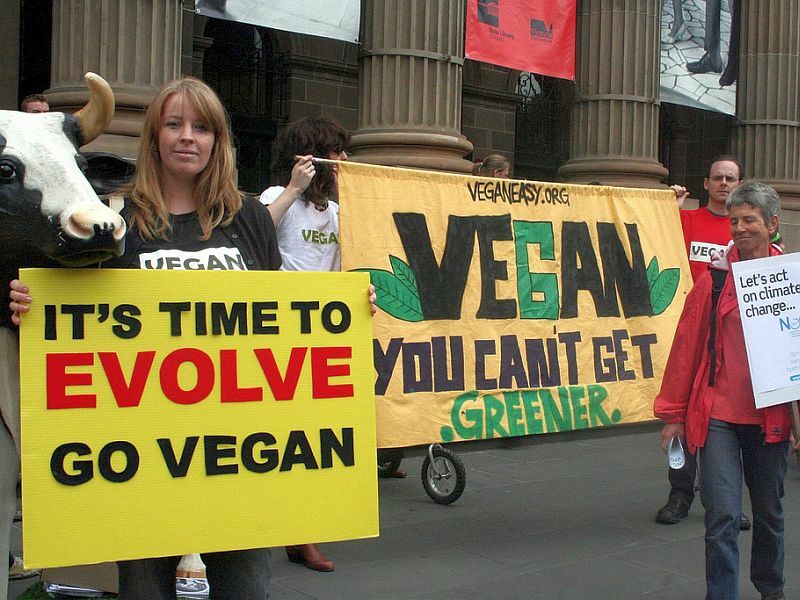 Most vegans suffer discrimination, says a new survey. But could it be that they discriminate before being discriminated? A large European internet portal for vegans polled its members about their experiences with discrimination due to their lifestyle (German language). More than 1,000 responded, of whom a formidable majority were women (70%). How do they feel that society reacts to their vegan set of mind? Only 7.3% never had to live through to any of these and, luckily, only very few experienced threats (2.1%) or physical violence (0.3%). But I wonder how those numbers came about. The place where I work has a cafeteria, where people from my faculty frequently eat in a group, discussing current projects. A while ago we got a new female colleague, who of course was invited to sit at our table. Her t-shirt proclaimed that “every being has the right to be happy” and on her plate was the vegetarian choice of the day, a veggie burger. An air of moral superiority encircled her and engulfed the table in uncomfortable silence until we managed to steer back to our previous conversations. Over the next weeks this became her routine whenever anyone was present at the table who happened to eat a dish containing meat. Only that the verbal missives became bolder the longer it went on. We are the 0.5 to 1%. He really wanted to but didn’t throw the steak at her. What he couldn’t resist was getting personal and remarking that she should mind her own expletive business and that the state of her body wasn’t exactly testament of veganism making you healthy. The latter in regard to her being quite overweight, which was impressive evidence that the combination of veganism and obesity wasn’t impossible. She left the table sobbing and from then on ate by herself, but none of us felt very sorry, due to the social trespassing she had committed to. No doubt, what our new female and vegan colleague went through that day was abuse, but it was a result of the more or less underhanded abuse on her part. This of course is only one person among tens of thousands living vegan, but no other group, save religious ones, as often exhibit similar behavior toward other people’s lifestyle choices. Pictures courtesy of “BUNDJugend” and John Englart. I feel eating as much as we can of a plant based diet is a good thing for the person and the planet. The problem to me is that most vegans walk quietly by the side of the road and hope no one notices. It’s the more militant and cult oriented vegans that have lost their way and create a backlash. That could be true. The loudest dictate the public perception, but the loudest aren’t necessarily the wisest. And cue the popular meme – how can you know if somebody is a vegan? Don’t worry, they’ll tell you about it.